The story behind the success of plentyoffish.com is a young entrepreneur by the name Markus Frind. Markus started plentyoffish from home on his spare time, he was the sole site adminstator for the entire life of the the site untill recently when he added few customer support staff. Markus was never an ivy league gradute student like most of the successful high tech entrepreneurs. Furthermore, Markus was just a regular working guy changing jobs untill he decided to start Plentyoffish. What was the Big Idea Behind Plentyoffish? According to Markus in his interview in the (INC Magazine) his idea was to start a full free dating site and break from traditional paid subscription dating sites such as match.com. Unlike all other dating sites that were charging fees to subscribe to their service, Plentyoffish gained a major advantage over all of them and offered free subscriptions. Free subscription was not the only advantage. The free service of PlentyOfish encouraged many users to subscribe to the service and that gave a great boost to the site and expanded its customer base. A free service with poorly designed dating website that has poor contents could not be a success.Therefore the other advantage that Plentyoffish has is that the site was easy to navigate with intelligent design. The site is very easy to use for new users and it allows them to register and subscribe with minimum to no errors. The site also have convenient features that matches subscribers to their matches using several attributes such as distance, and personal traits. Fresh and new contets are very important to the success of any website that some entrepreneurs ignore. The ability of plentyogfish to maintain its subscribtion base is clear from the fresh contents and features that the site kept improving over the years to increase new subscribtions and maintain existing members. Users didn’t get bored from the site and they liked its free features that were comparable to those offered by paid sites. Plentyoffish became the largest dating site by valume and by numbers of subscribers with 1.6 billion page views every month. Many big competitors such as Match.com and that maybe ironic but it uses the huge success of plentyoffish and it buys advertisements slots in the dating website. 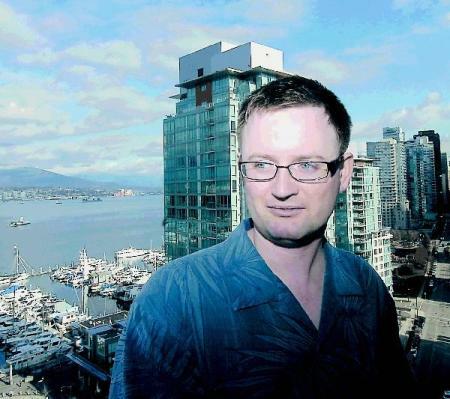 As for the founder Markus Frind, he became known as the google adsense millionaire 5 years after starting Plentyoffish. Plentyoffish bring in millions every year from advertisments revenue, the website monetizing policy is mainly depends on advertisement because it is free service for members. Markus enjoys the success of his venture by working between 10 to 20 hours a week and making over 5 million a year. He is running one of the largest websites on the planet and enjoying the success of his startup by spending more time enjoying life. Tony Robbins – Why do you do what you do? Being able to give a great presentation will get you further than being smart or having a great idea. Being able to get up in front of powerful people who make decisions or who might buy your product is still the most effective way to succeed as a startup owner/entrepreneur. Self help and life coaching may seem cheesy to some, but Tony Robbins can definitely give a great presentation and has started and run a very successful business for many years. He also high fives Al Gore in this presentation below! A great talk from Steve Blank, the creator of the customer development school of startup thought. Steve talks about the genesis of Silicon Valley, way back to the 1940s. Warren Buffett is worth just short of $37 billion, he started his company from scratch. In another of our videos highlighting some of the world’s most successful startup founders philosophies and paths to success, here’s Warren Buffet talking about his extremely canny investment and subsequent exit, in PetroChina. An interview with one of Europe’s wealthiest entrepreneurs, Felix Dennis founder of Dennis Publishing. Dennis started his working life as a grave digger, moving into publishing with the ill fated Oz magazine, which landed him a stint in jail. Whilst this interview is not exactly the best piece of journalism I’ve seen, Felix Dennis himself is a very unique entrepreneur and gives some excellent startup advice. Buy his book to read some really frank and very honest advice about what it takes to make hundreds of millions of dollars from nothing. A great interview with Richard Reed, one of the founders of Innocent Smoothies. Richard talks about how he got started, the terrible ideas he had before he founded his £120 million ($191 million) company, Innocent Smoothies.